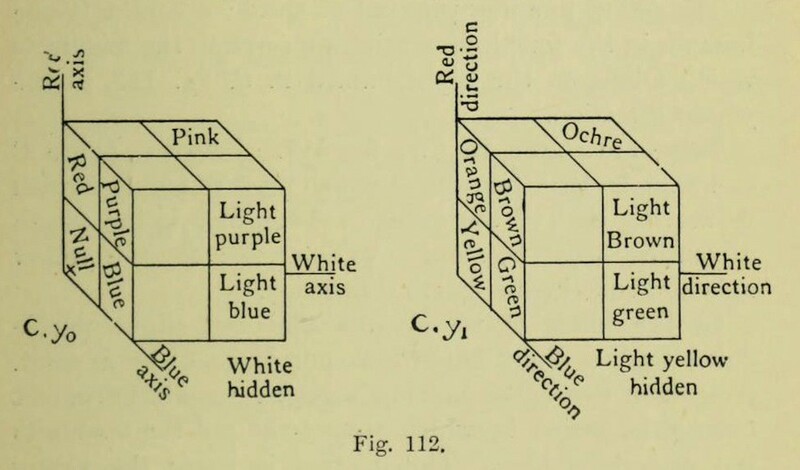 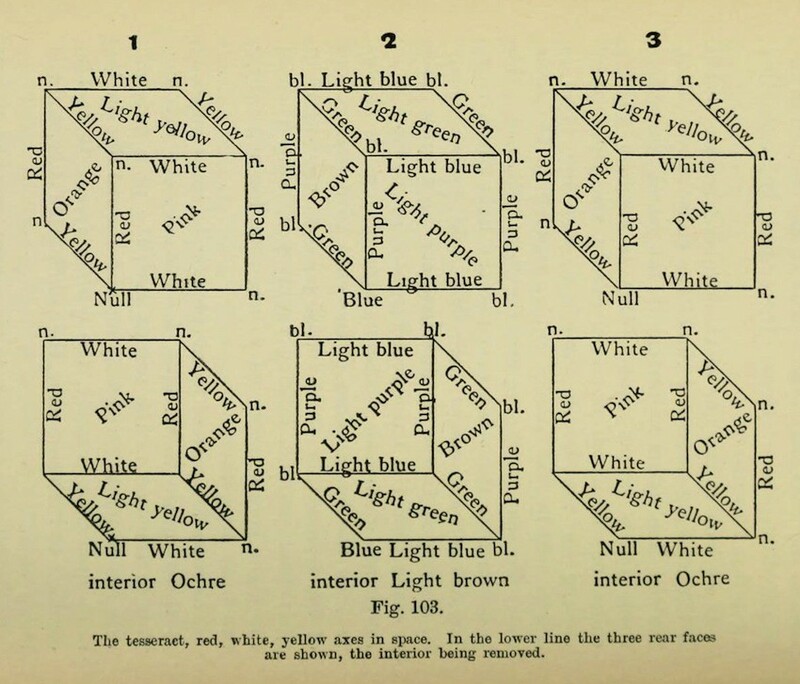 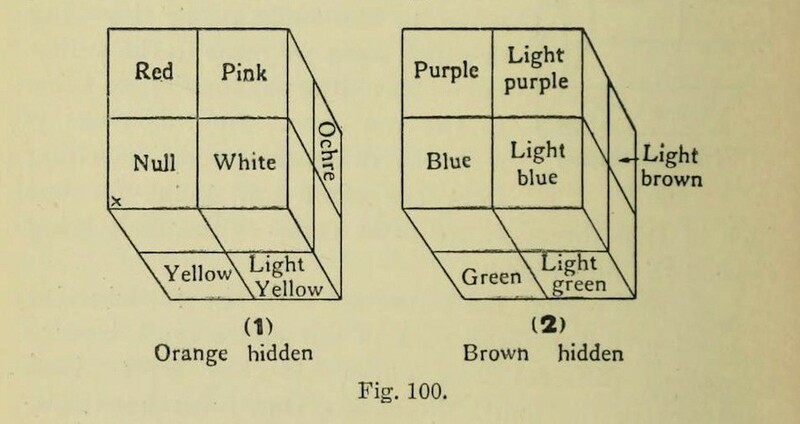 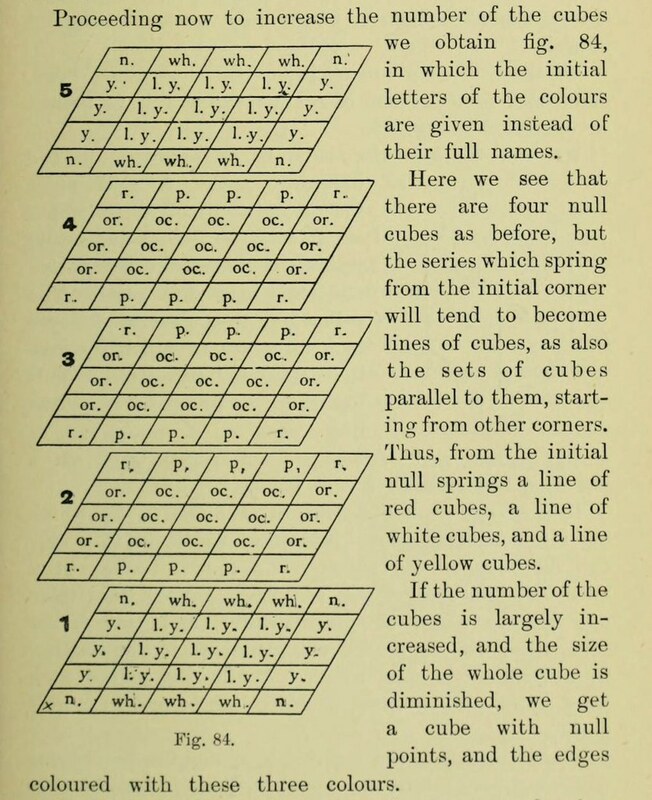 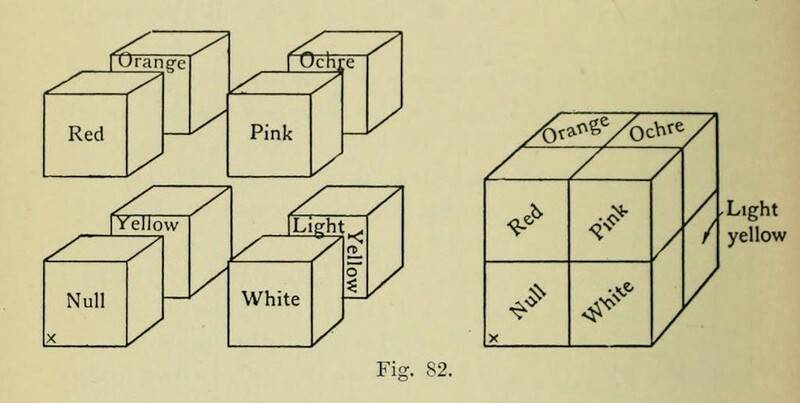 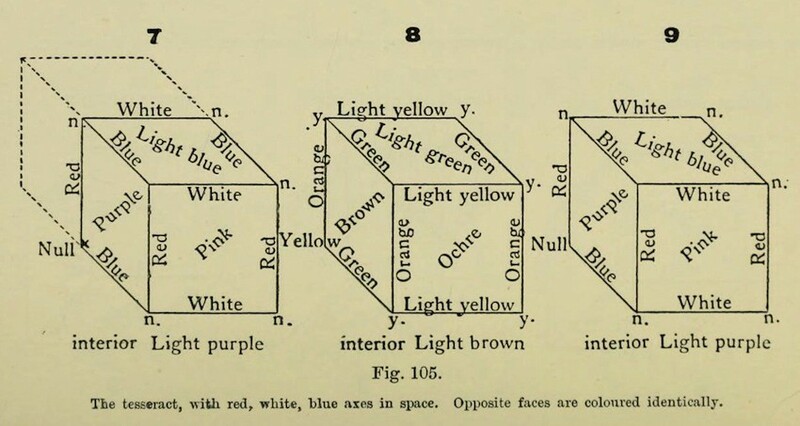 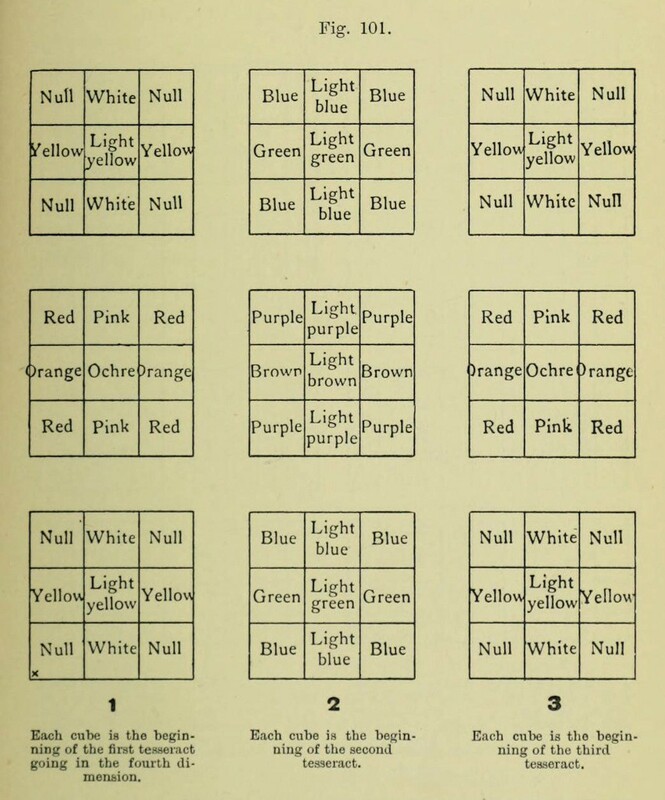 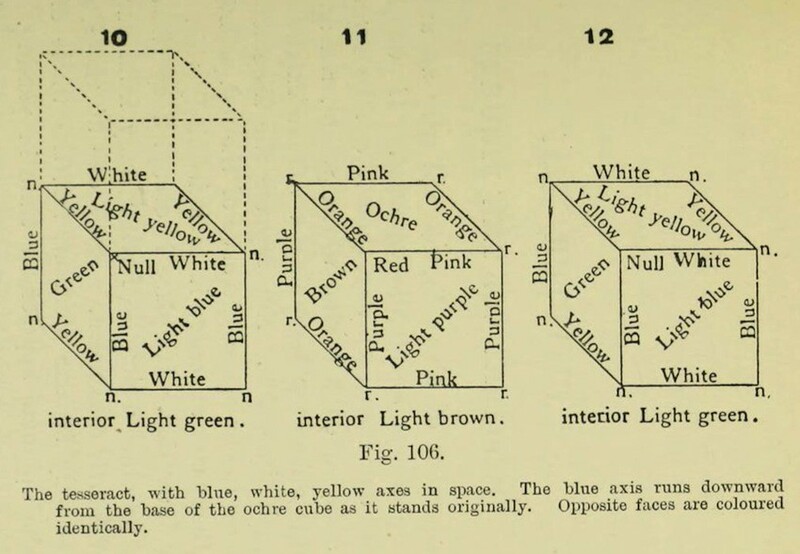 A series of images from Charles Howard Hinton’s The Fourth Dimension (1904), a book all about the “tesseract” – a four-dimensional analog of the cube, the tesseract being to the cube as the cube is to the square. 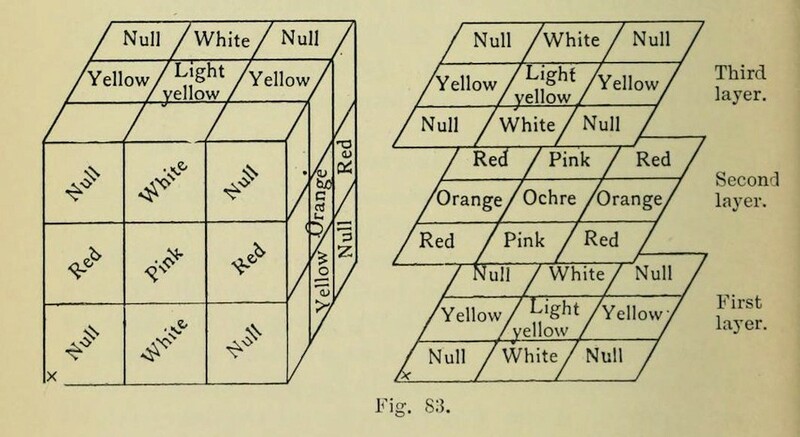 Hinton, a British mathematician and science fiction writer, actually coined the term “tesseract” which appears for the first time in his book A New Era of Thought (1888). 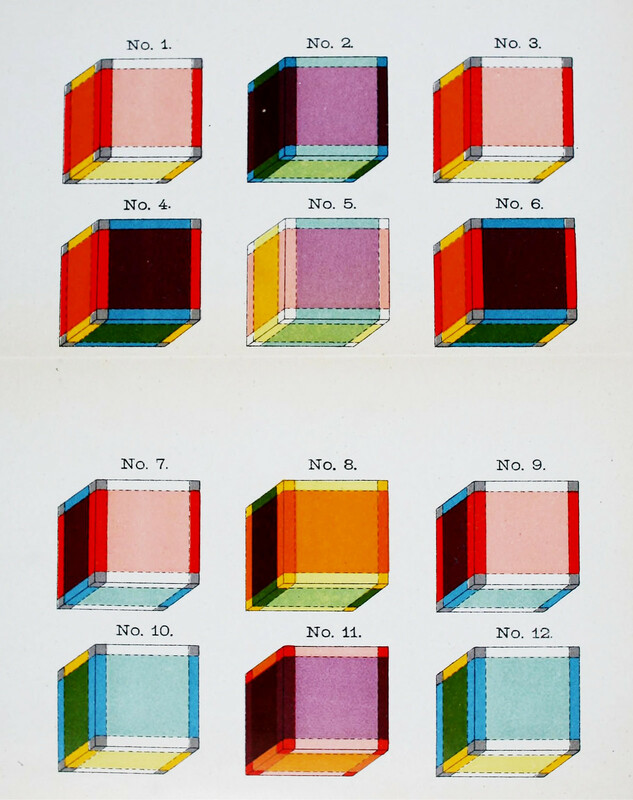 We are not going to pretend to have given the time to his book to understand fully the concept behind these diagrams, but they are a fascinating series of images all the same (particular the coloured frontispiece featured above), and offer a glimpse into the theory of four-dimensional space which would prove so important to the development of modern physics. 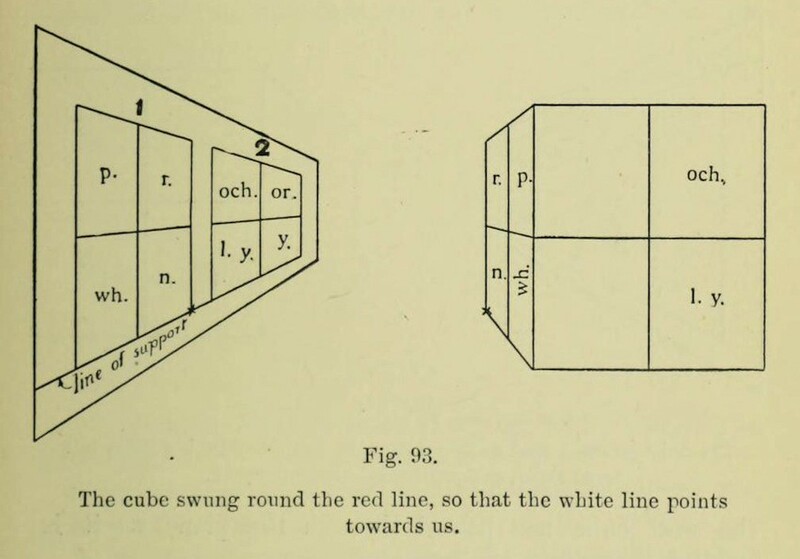 Although Hinton’s work was an important stepping stone in understanding four-dimensional space, the real breakthrough came in a 1908 paper by Hermann Minkowski, in which four-dimensional space was thought of in non-Euclidean terms, leading to the revolutionary concept of “spacetime”. 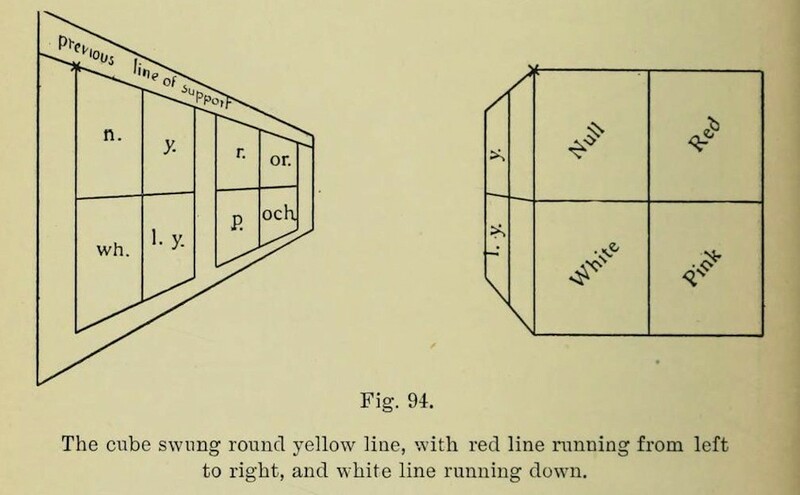 Apart from his ideas and inventions — including a baseball cannon which fired the ball with the help of gunpowder — Hinton became notorious for having committed bigamy, marrying Mary Ellen Boole in 1880 and Maud Florence in 1883. 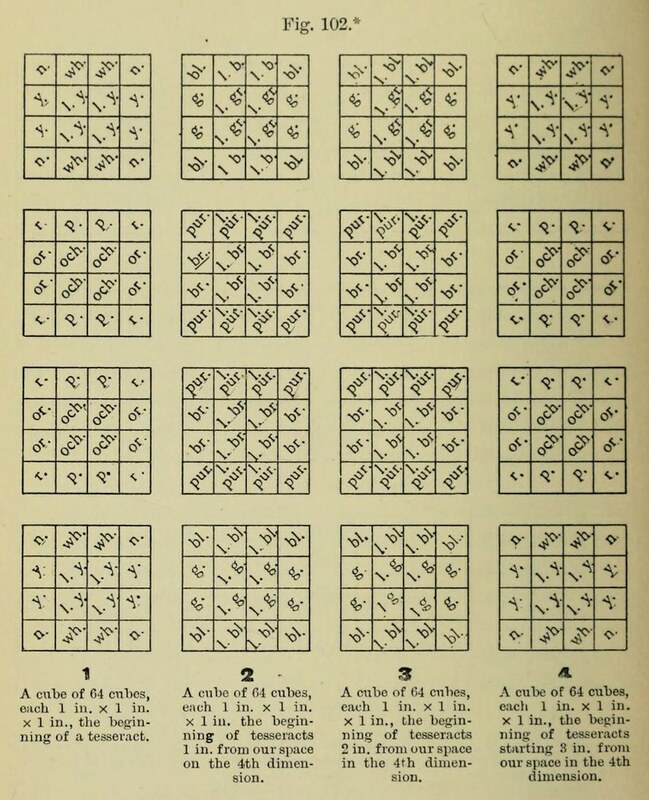 The scandal subsequently forced him to leave Britain and he traveled to America with his first wife where he taught mathematics at Princeton University, later working for the University of Minnesota as well as the United States Patent Office.